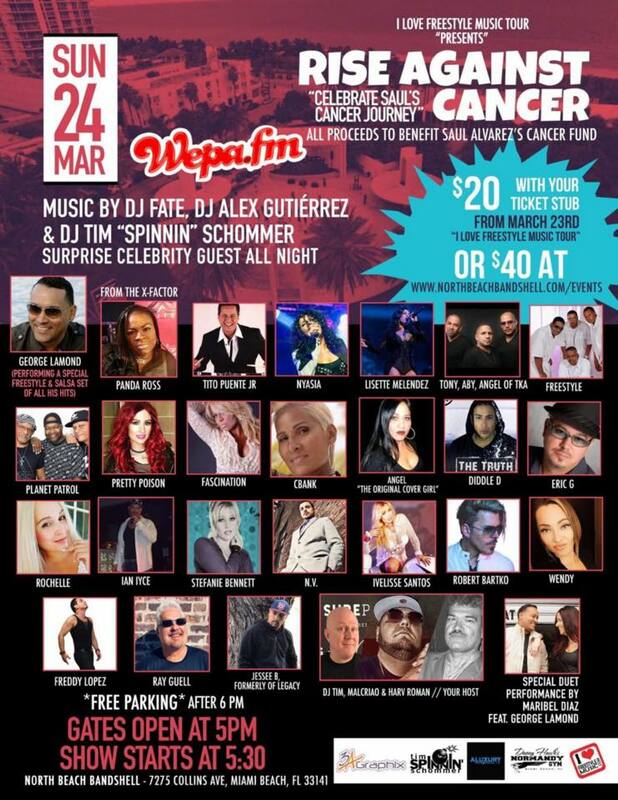 Wepa.Fm invites you to the “Rise Against Cancer” brought to you by I Love Freestyle Music Tour – Sunday March 24th at North Beach Bandshell – 7275 Collins Ave, Miami Beach, Fl. 33141.. Gates Open at 5pm, Show starts at 5:30pm. FREE PARKING After 6pm. 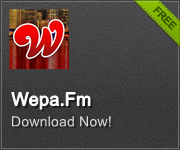 Performing Live George Lamond, Panda Ross from The X-Factor, Tito Puente Jr. Nyasia, Lisette Melendez, Tony, Aby, Angel of TKA, Freestyle, Planet Patrol, Pretty Poison, Fascination, C-Bank, Angel -The Original Cover Girl, Diddle D, Erik G, Rochelle, Ian Iyce, Stefanie Bennett, N.V., Ivelisse Santos, Roberto Bartko, Wendy, Freddy Lopez, Ray Guell, Jessee B. formerly of Legacy. DJ Tim, Macriao, Harv Roman // Your Host.